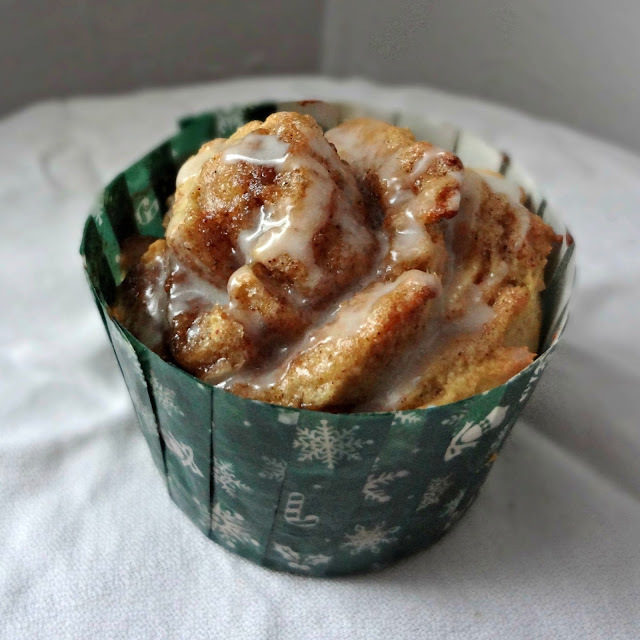 So, I know I just posted cinnamon roll muffins. I realize you're probably thinking this is just a tad too similar, am I right? Well OK, yes, these are cinnamon rolls made in muffin cups. 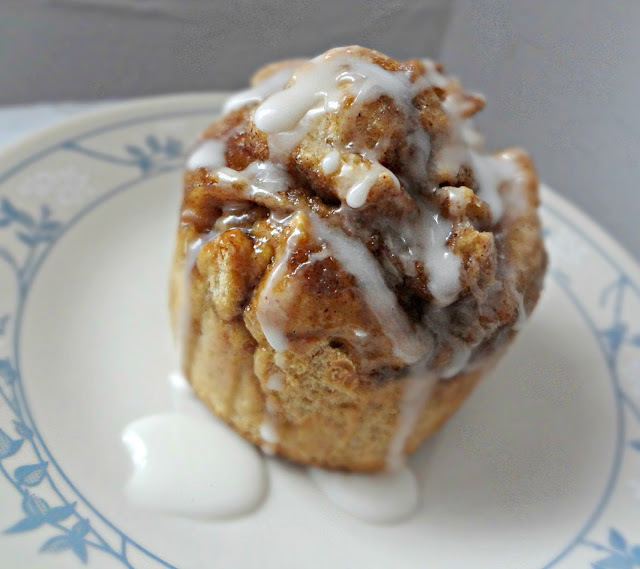 And yes, they are a quicker, easier way to get your cinnamon roll fix in the morning. HOWEVER-these are much more like a real, classic cinnamon roll. They just don't rise or involve yeast. So, ya know, you can get these babies in your belly ASAP! I actually preferred these to the muffins (Michael however liked the muffins better). I enjoy how they're really no different than a normal cinnamon roll, they're just more dense, obviously. But I don't mind that! The glaze is phenomenal as well. You will absolutely love all the cinnamon-sugar goodness without all the waiting. 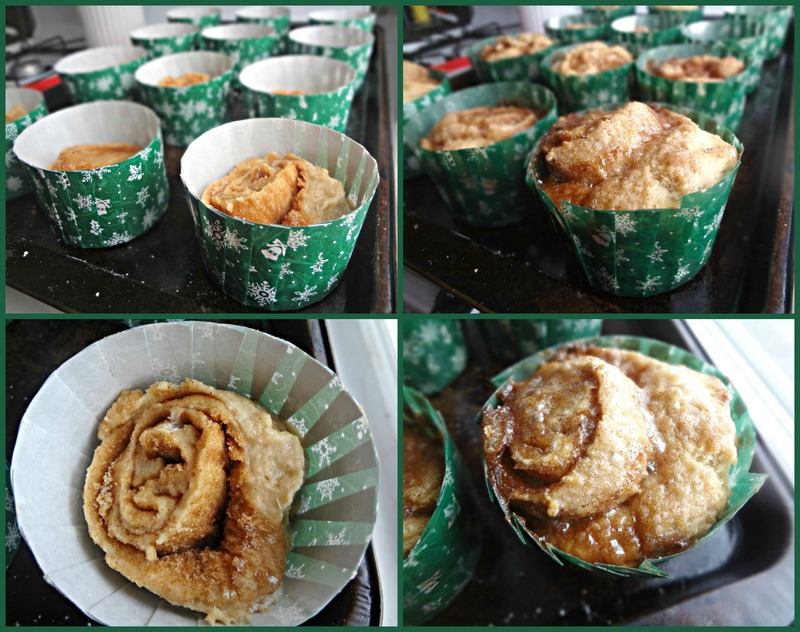 From Sprinkle with Flour's "Cinnamon Roll Muffins"
Preheat oven to 375 degrees. 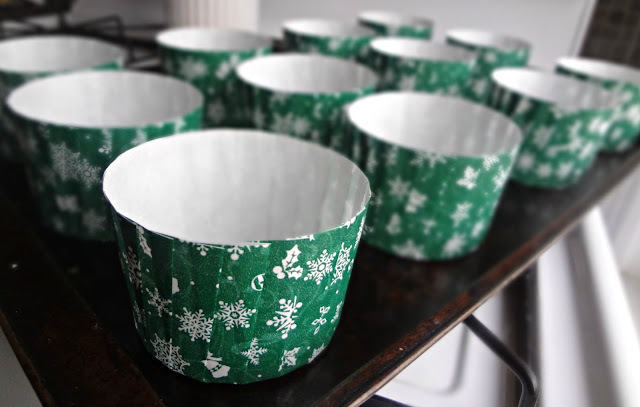 Either grease or line a muffin tin or get 12 paper bakeware muffin cups/ramekins out. In a small bowl combine the cinnamon and sugar together for the filling. 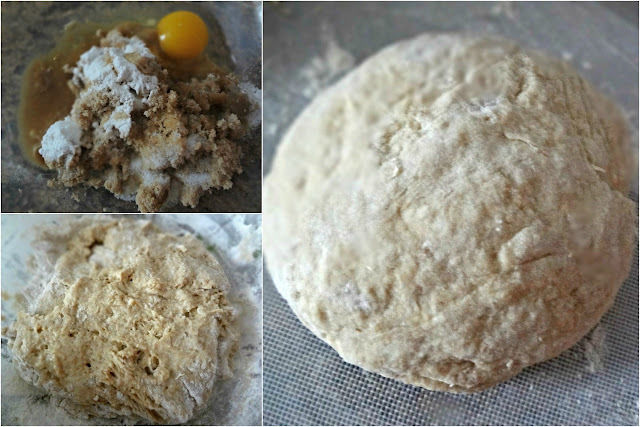 In a medium bowl mix brown sugar, baking soda, salt, vanilla, and egg. Add buttermilk and then the flour (start with 3 cups and then add more as needed). Stir until combined and not too sticky. Turn the dough onto a lightly floured surface and knead for 1-2 minutes. 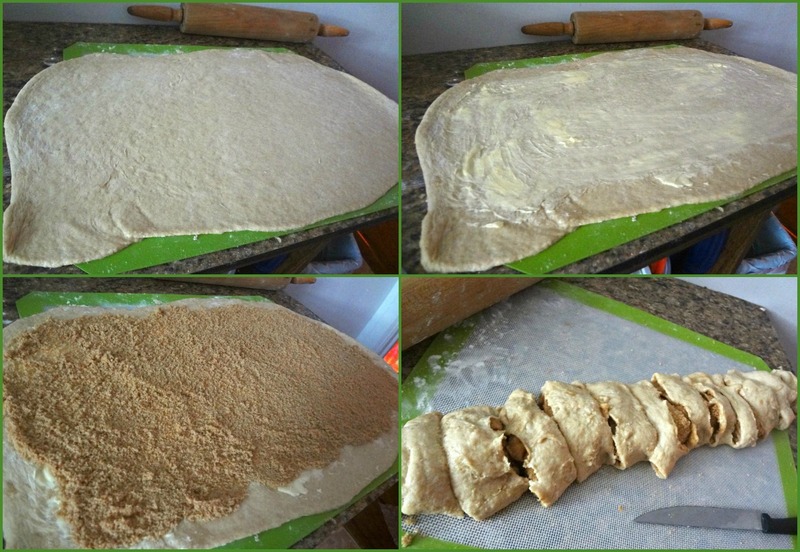 Roll dough into a 12"x24" rectangle. Spread the butter over the dough (leaving a small border around the edges) and sprinkle the cinnamon/sugar mixture evenly across the dough. Roll the dough into a log (starting with a long side)-stretch it slightly to keep the seam tight as you roll. Cut the log in half, then halve each half. Cut each quarter into 3 pieces to created 12 rolls total. Place rolls in the muffin cups. Bake 15-20 minutes, until golden brown and bubbly. Allow cinnamon rolls to cool for 5 minutes and then move them to a cooling rack. Whisk together the ingredients for the icing and drizzle over the cinnamon rolls. Store leftovers in an airtight container, can be reheated.